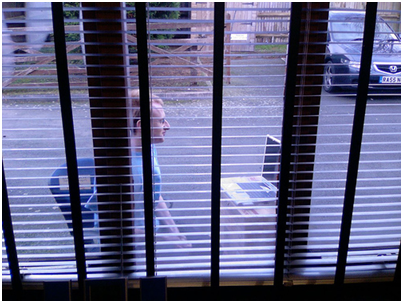 Mark tries to prove that working outside in the middle of January is warmer than the office in Hastings. 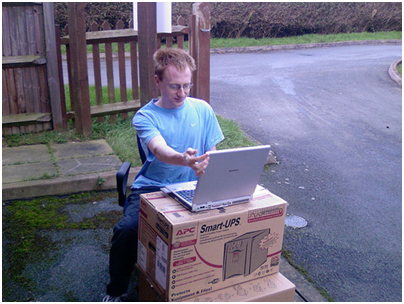 We supplied him with power, network cable and a table. 20 minutes later in his t-shirt he was begging for us to unlock the office door and let him back in.